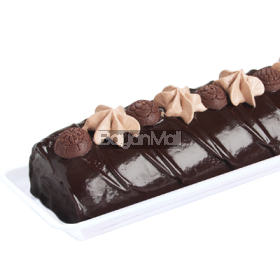 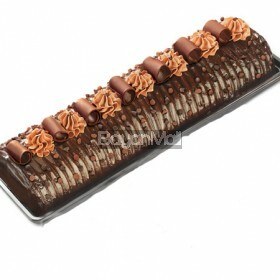 Chocolate sponge cake moistened with aromatic kirsch solution and filled with strawberry cream pie filling. 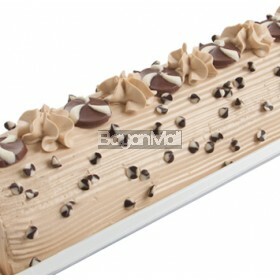 the cake is iced with baileys whipped cream, drizzled with chocolate ganache and sprinkled with chocolate chips. 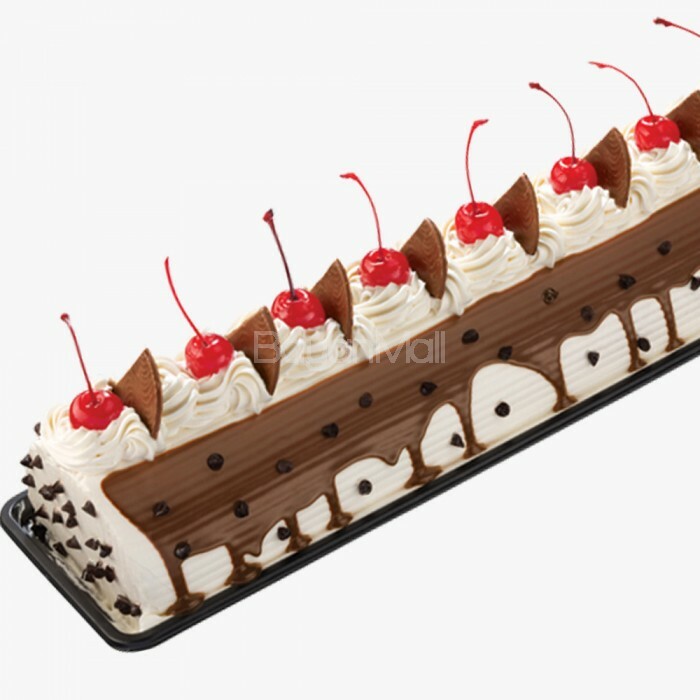 The top is decorated with same icing then alternately decorated with chocolate triangle topper and a whole maraschino cherry with stem.